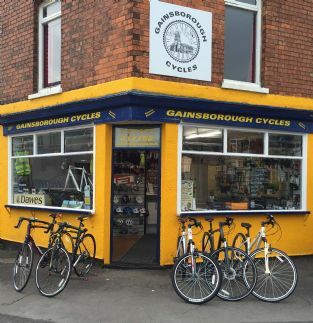 Welcome to Gainsborough Cycles in Gainsborough, Lincolnshire. Gainsborough Cycles is a specialist independent cycle shop covering all aspects of cycling sales, services and advice. 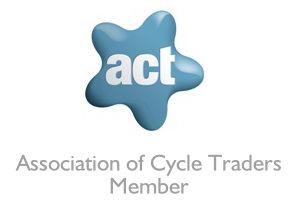 As a member of the Association of Cycle Traders (ACT), Gainsborough Cycles is a well-stocked shop with service and value for money the important factors. All new cycles are sold fully assembled, safe and roadworthy with frame numbers recorded. New cycles purchased from Gainsborough Cycles can be returned to the shop for routine servicing as required by the original purchaser, with labour free for the first 12 months and parts chargeable at shop prices. The shop has a well equipped workshop and is able to carry out repairs and servicing with all repairs recorded along with a copy for the customer. View our new eBay shop. Many old, unusual, vintage parts for sale as well as current items. Gainsborough Cycles is run by Trevor Halstead who has been involved in cycling for over 30 years. All aspects of cycling are covered in the shop. Saturday - 9am - 5.30pm.